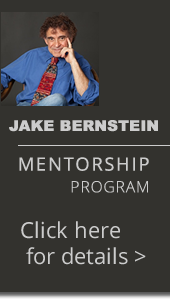 Mr. Bernstein is publisher of Jake Bernstein's Weekly Futures Trading Letter which has been in continuous weekly publication since 1972...Now presented in digital media format as The Jake Bernstein Online Weekly Capital Markets Report and Analysis. 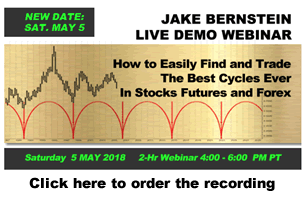 Beginning trading futures and stocks in 1968, Jake has appeared frequently on radio and television throughout the United States and Canada. 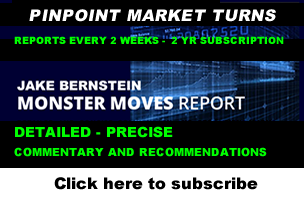 He has been a guest on numerous business radio and television shows including Wall Street Week, CNBC, JagFN.TV and WebTV.com. 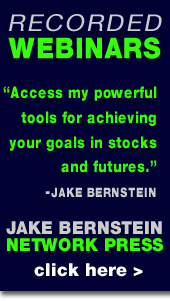 We hope you enjoy your visit to Jake Bernstein on Futures. 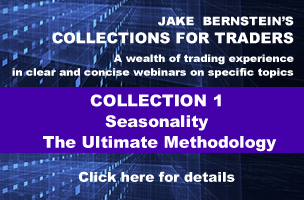 Please let us know what you think, e-mail us at jake@trade-futures.com or fax your comments: 831-430-0800 (fax). If you have questions or need more information give us a call at: 1-800-678-5253 or 831-430-0600. 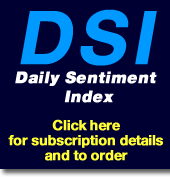 If you have difficulty accessing our Book Store or Subscription Center - Call: 800-678-5253 or 831-430-0600.